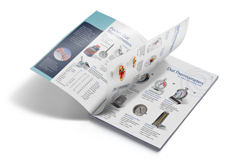 The following selection of Probes represent those that have been defined as being suitable for use with the N9002 Differential Thermometer. 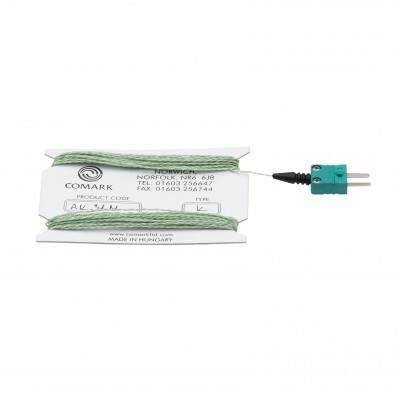 In general, the N9002 Differential Thermometer will accept any Comark Probe with a 2-Pin Sub-Miniature connector. 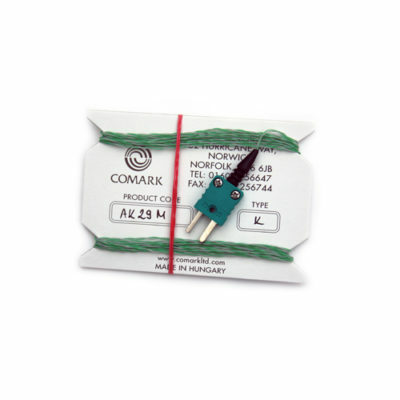 The AK33M High Temperature Air Probe is a Type K Thermocouple Probe, with a total length of 1m. 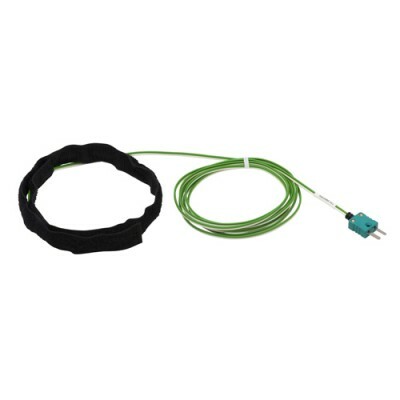 The AT26M Flexible Wire Air Probe is a Type T Thermocouple Probe, with a total length of 1.0m. 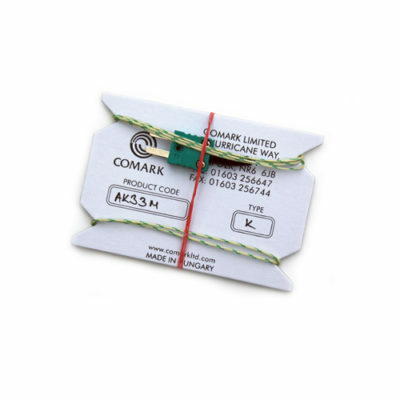 Fitted with a 2-Pin Sub-Miniature connector. 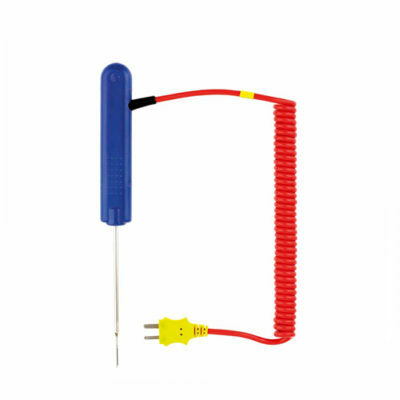 The AK29M Flexible Wire Air Probe is a Type K Thermocouple Air Probe, with a total length of 5m. 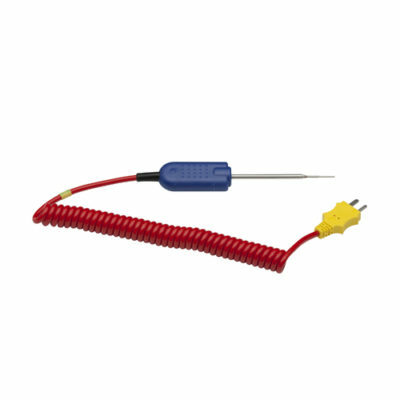 The AK31M Flexible Wire Air Probe is a Type K Thermocouple Air Probe, with a total length of 10m. 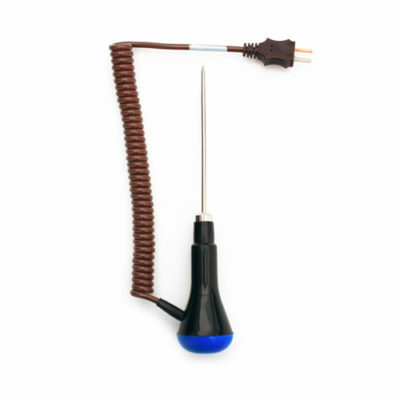 The PK15M MicroTip Penetration Probe is a Type K Thermocouple Probe for checking meat and food temperatures during cooking, fitted with a 1m curly cable. There is also BioCote Antimicrobial Protection in the probe handle to avoid the risk of cross contamination. The SK29M Pipe Probe with Velcro Strap is designed for heating, ventilating and air-conditioning applications. It comes fitted with a 500mm Velcro strap. 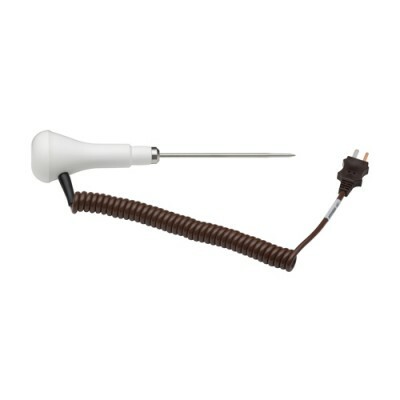 The PK19M Thin Tip Penetration Probe is a Type K Thermocouple probe, fitted with a 1m curly cable. There is also BioCote Antimicrobial Protection in the probe handle to avoid the risk of cross contamination. 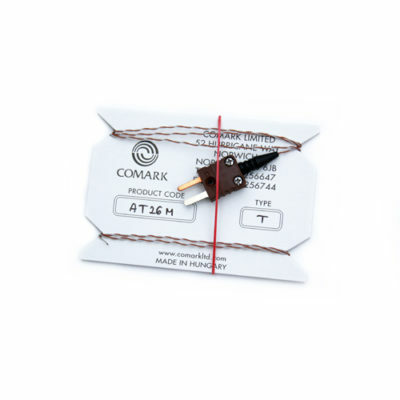 The AK27M General Purpose Air Probe is a Type K Thermocouple Probe which is designed for measuring temperatures of up to +250°C / +482°F, fitted with a 1m curly cable. 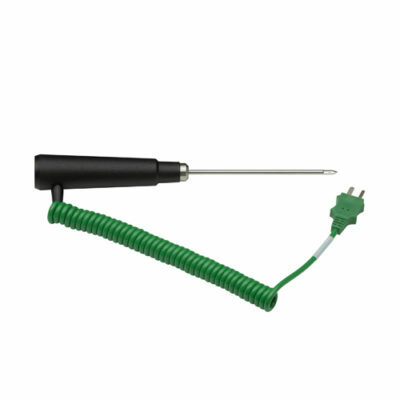 The PT22M/W Standard Industrial Penetration Probe is a general purpose penetration probe, fitted with a 1.0m lead and White Handle. 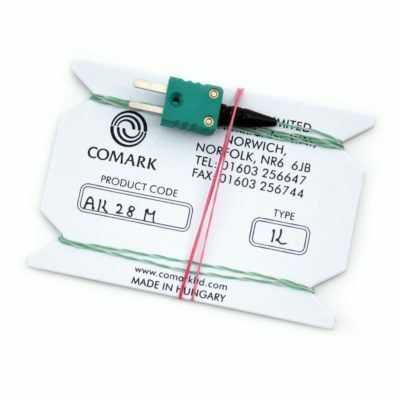 The PT22M Standard Industrial Penetration Probe is a general purpose penetration probe, fitted with a 1.0m lead. 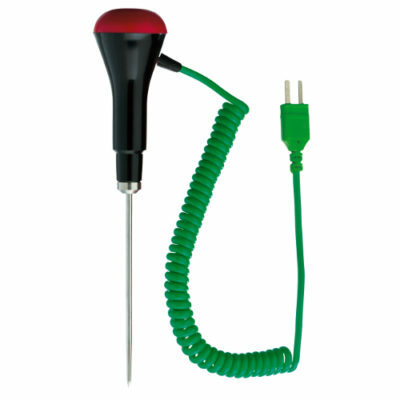 The PK24M Standard Industrial Penetration Probe is a Type K thermocouple probe, fitted with a 1.0m curly cable.